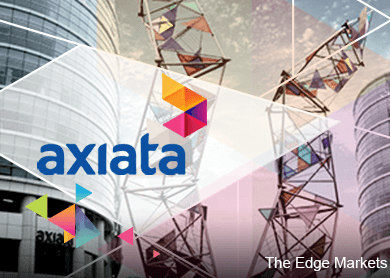 KUALA LUMPUR (Jan 23): Axiata Group Bhd is likely to be the major contributor of additional dividends to the government as it has the capacity to raise its payout ratio from 80% (current estimate) to 100%, given its strong free cash flow from Malaysian operations, according to AllianceDBS Research. Prime Minister Datuk Seri Najib Razak on Jan 20 had said when announcing the revised 2015 Budget that the government would undertake several measures to boost revenue and rationalise cost in such challenging times. He said these measures include getting additional RM400 million dividends from government-linked companies (GLCs), and government-linked investment companies (GLICs) in 2015. In a strategy note today, AllianceDBS Research said GLCs held by Khazanah Nasional Bhd would be the main contributors of additional dividends to the government. It said other GLCs held by GLICs were largely beneficially owned by the trusts under management instead of the government. “In 2013, Khazanah contributed RM650 million in dividends to the government. This suggests that dividends from Khazanah will need to be ramped up significantly in order to achieve the RM400 million target. The research house said that based on the original Budget 2015, the government expects to generate investment income of RM31.1 billion or 13.2% of total revenue. It said out of this amount, RM27 billion was initially expected to come from Petronas. “However, this was previously budgeted using an oil price assumption of US$100/bbl. In the latest budget revision, the oil price assumption has been drastically trimmed to USD55/bbl. “Needless to say, Petronas’s contribution will be significantly trimmed, given lower oil revenue,” it said. AllianceDBS Research said that as such, it was very likely for Petronas’s own listed companies to distribute higher dividends to their parent in order to narrow the gap. “Our analysis suggests that Petronas Gas Bhd, Petronas Chemicals Group Bhd, MISC Bhd, and Petronas Dagangan Bhd all have sufficient capacity to ramp up dividends,” it said.